Simulations have emerged in recent years as a key component of medical education, providing learners with an opportunity to work through challenging scenarios before they encounter these situations in daily practice. They help physicians visualize the treatment process, see where they may be making errors, and explore alternative treatment pathways. Simulations have become a vital part of medical education from medical school through continuing medical education (CME). 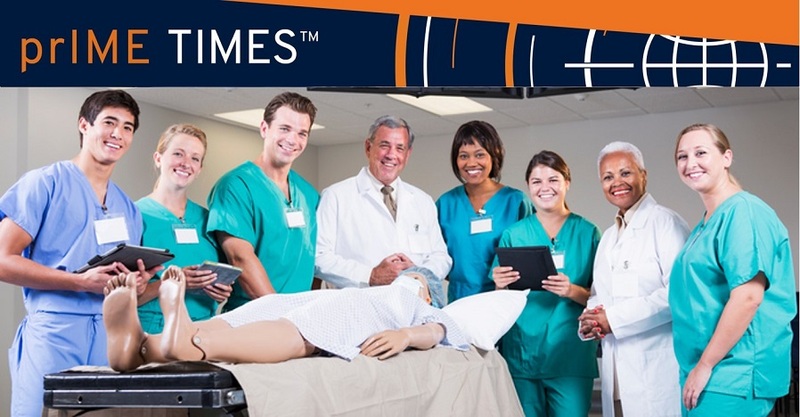 According to the Oxford Textbook of Medical Education, “Simulation-based education provides a structured, learner-centered environment in which novice, intermediate, and advanced practitioners can learn or practice skills without causing harm to patients.” Simulation is a particularly powerful educational tool because it provides feedback to improve self-awareness, adapts to individual educational levels and learning needs, and provides the opportunity to repeat challenging cases until they are mastered. While the role of simulations as a tool for physician learning is clear, simulations can also provide valuable information for CME providers and supporters of educational activities. For example, simulations allow insight into the physician thought process and practice patterns that cannot be captured by polling questions. Memory is inherently biased, and when reflecting on a question about current or past practice, this bias may cause over or underestimation of behavior. A particularly memorable patient or case can influence a physician to indicate that they feel confident in managing the adverse events associated with a treatment when, in fact, they have relatively little experience, or are only comfortable with one or two associated events. By using simulation, physicians more accurately demonstrate their thought process and management standards. Furthermore, simulation can capture all the steps in the treatment process, from diagnosis and testing to treatment and long-term management, which goes far beyond the information that can be gathered from a clinical case. Simulations also provide unique insight into the educational needs of the learner. The amount of time it takes a learner to correctly diagnose and treat a patient, whether appropriate diagnostic tests were used, and if medication was given correctly all provide valuable information regarding areas of strength and weakness. The information from these activities can be used to design future education that more specifically targets the needs of a given audience, addresses their areas of weakness, and reinforces key messages. Beyond their role as a beneficial learning tool, simulations can provide important outcomes data that can inform current and future educational activities. They provide a snapshot of current and evolving practice patterns and highlight educational gaps in a bias-free way that cannot be matched by other forms of physician evaluation.